ANCHORAGE, Alaska -- President Barack Obama responded to appeals from Alaska Native villages and gave them more of a say in the federal management of marine resources of the Bering Sea. Obama signed an executive order Friday to create a Northern Bering Sea Climate Resilience Area that will focus “locally tailored” protections on marine resources. The newly created resilience area covers 112,300 square miles and stretches from north of the Bering Strait to north of Bristol Bay. The order requires more focused federal consultation with Alaska tribes and 39 communities that line the west coast of Alaska, along with state officials. The area supports what may be the world’s largest annual marine mammal migration of bowhead and beluga whales, Pacific walrus, ice seals and migratory birds. The order also withdraws from federal petroleum leasing 40,300 square miles of Norton Basin and the offshore area around St. Matthew Island, two places already recognized as important marine mammal hunting areas. Kawerak Inc., a regional non-profit corporation that provides social services to Alaska Native Villages along Alaska’s west coast, and the Bering Sea Elders Group in June urged Obama to give villages more of a voice to promote self-determination in management of natural resources and habitat. Residents of coastal villages have seen dramatic changes brought on by climate change, mostly in the form of sea ice that forms later in the winter and disappears sooner in spring. Changes in ice have modified migration patterns of marine mammals, in some cases making hunting uncertain and more dangerous. Loss of sea ice also has opened opportunities for expanded cargo traffic, offshore petroleum drilling, tourism and other commercial activities, changes that that villages may not welcome and that could affect the security of their traditional food from the sea. The executive order establishes a task force with village representation that will consult on federal management activities in the area and work to protect cultural and subsistence activities. Obama’s order elevates Alaska Native comment on projects such as a port access route study nearing completion by the Coast Guard. With increased shipping, the agency is working on vessel traffic control measures through the Bering Strait, the choke point between North America and Asia. The decision would require village comment on expansion of large-scale commercial fishing that could affect subsistence life, such as trawling. Agencies were directed to consider Alaska Native traditional knowledge in their Bering Sea management decisions. Fred Philip, executive director of the Native Village of Kwigillingok, said in a statement that Obama recognizes his people’s need for self-determination and is the first president to require that traditional knowledge and expertise be applied to federal management. “This is real progress,” he said. Harry Lincoln, a Yupik elder from Tununak, and the chairman of the Bering Sea Elders Group, thanked Obama. “It is the Native elders’ vision that the northern Bering Sea and the resources that our people rely on be protected because they are the foundation of our culture and way of life,” he said. Alaska Gov. Bill Walker and Lt. Gov. 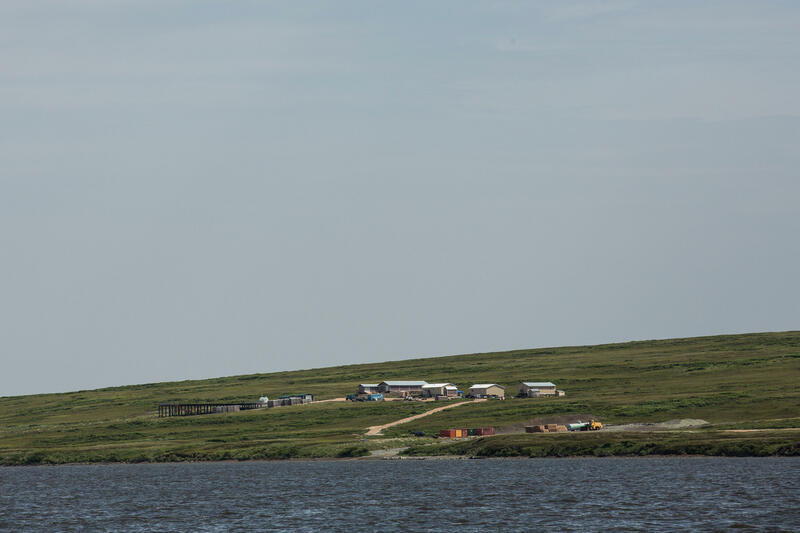 Byron Mallott in a joint statement said while they support Bering Strait tribal leaders who worked to provide economic opportunities while protecting resources, they have other concerns. “The State of Alaska is concerned about any further erosion of our ability to support much needed resource development at a time when the state is grappling with declining oil prices and production,” they said. Messages requesting comment from Alaska’s all-Republican congressional delegation were not immediately returned Friday. Sens. Lisa Murkowski and Dan Sullivan and U.S. Rep. Don Young on Thursday sent a letter to Obama warning of their strong objections to withdrawing any more acreage in the Arctic Ocean north of the Bering Strait, which is projected to hold 23.6 billion barrels of oil.